DasCoin securities fraud Cease and Desist notice. | News by Wales Express News, People Before Profit! Home Bitcoin Bitcoin News DasCoin securities fraud Cease and Desist notice. As part of Operation Cryptosweep, the British Columbia Securities Commission issued DasCoin with a cease and desist notice. 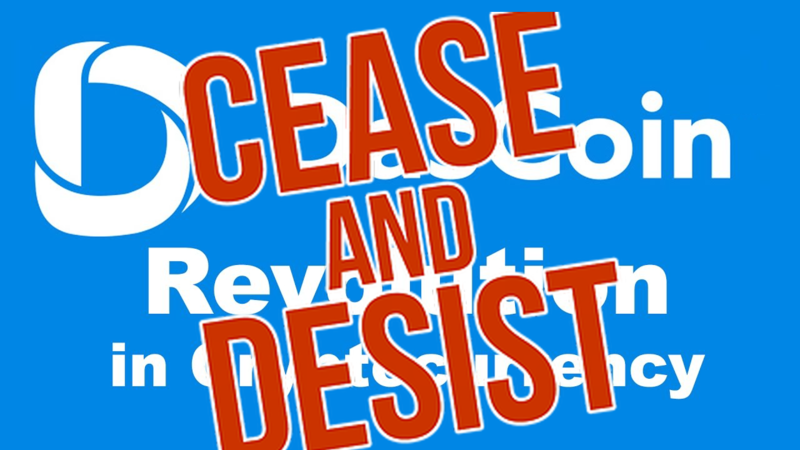 As at the time of publication the DasCoin cease and desist notice hasn’t been made public. Nor do we know exactly when it was issued. Seeing as the notice is part of Operation Cryptosweep however, I believe DasCoin was served sometime over April or May. On the MLM side of things DasCoin is promoted through Net Leaders (formerly Coin Leaders). On the Net Leaders website, the company markets itself as “the home of DasBlockchain”. As I write this, neither DasCoin or Net Leaders have publicly acknowledged the British Columbia cease and desist. Instead they’re busy hyping DASC’s recent listing on CoinMarketCap, where it’s currently sitting at 17 cents. After launching as Ponzi points through Net Leaders, DASC is now being publicly traded through the Coin Falcon and BTC Alpha exchanges. Operation Cryptosweep is being coordinated by the North American Securities Administrators Association (NASAA). Fraudsters are always looking for new ways to attract victims and many are taking advantage of the popularity of cryptocurrencies to perpetrate their schemes. Seeing as Net Leaders was initially launched as a OneCoin clone at the height of its popularity, Muir isn’t far off the mark. Previous articleHave you heard about Operation Crypto-Sweep Global Event.